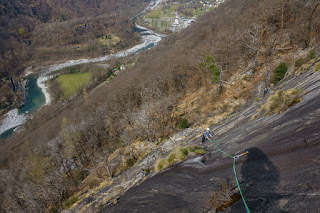 Like last year, we chose to spend the Easter weekend climbing in Tessin. Since last year went so well, we stayed in the same hotel in Locarno. Thursday: Ponte Brolla, sector Rovine del Castelliere, routes Pipistrello 4c, Palatore 5a, Pisello 5a, Aebiana 5b, Scala 5a+ (both lead climbed each route). 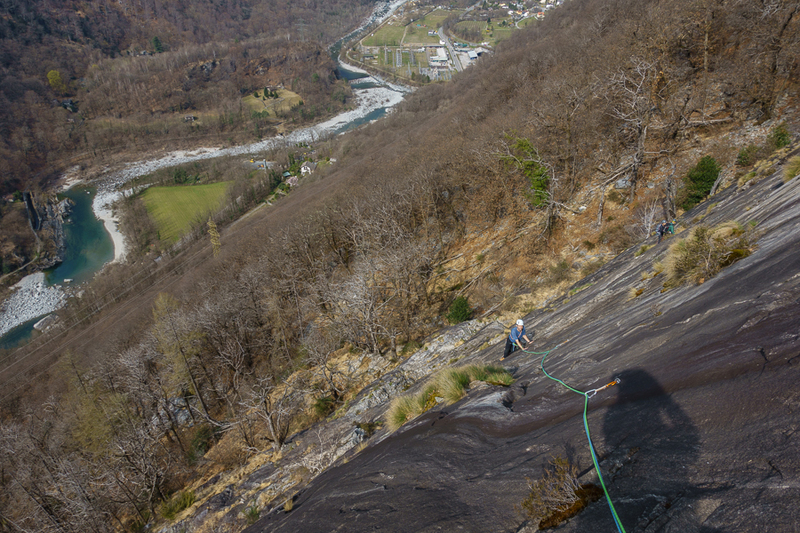 It was great to be back on the granite slabs in Tessin! 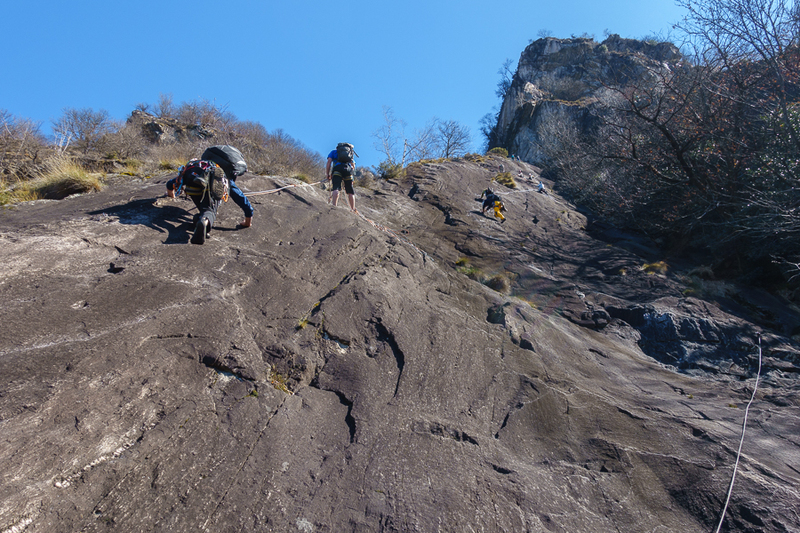 Friday: Monte Garzo, sector Placche Rosse/Pinocchio, routes Lavori di Giardinaggio 5 1/2 SL: 4a (this is what the guide says, but we there's a step in the middle that is certainly a lot harder than that), 5a, 5a, 5a, 5b+, 200m, greg went first; Havanna 5c (only the first SL, andrea went first). 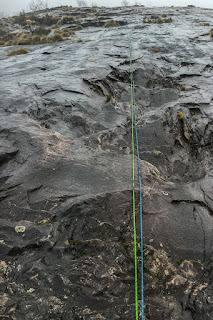 Excellent climbing, we had a great time and didn't make too big of a mess on the abseil of the long route. 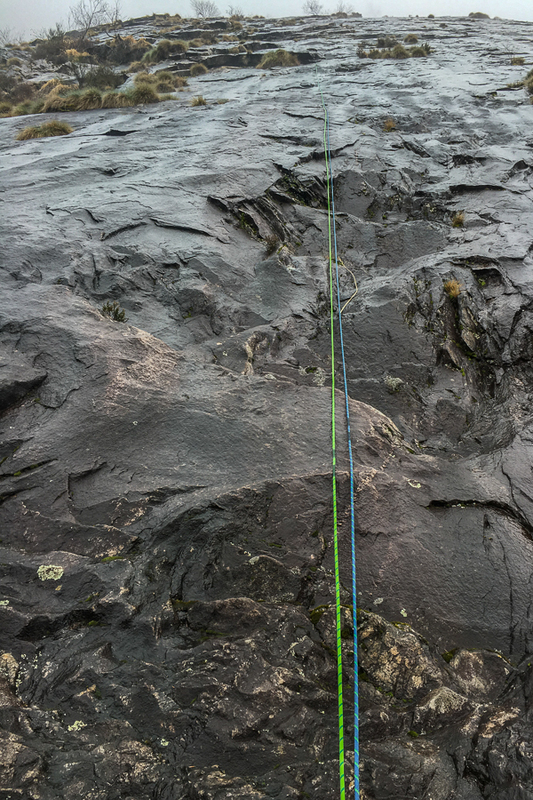 Greg had a long fall on the 5b route, but that just served as a good confidence-building exercise (once his pulse subsided to normal levels). On the way back down we noticed that Ponte Brolla was on fire(!). 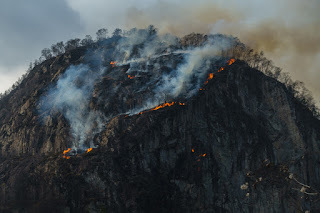 This wildfire, started by a climber burning toilet paper(!) fortunately didn't injure anyone, but it did make a mess and resulted in the Ponte Brolla wall being closed for the rest of the weekend. Definitely not optimal for the rest of the area. Sunday: We started the morning with greg finding a tick embedded in his arm. Pulling this out didn't seem to go so well, which led to a visit to the pharmacist (who didn't want to do anything) and the emergency room (the only other option). That led to nothing, we'd done everything right and the ticks in the Tessin don't carry meningitis like the ones up here, yay! This still ruined our early start. 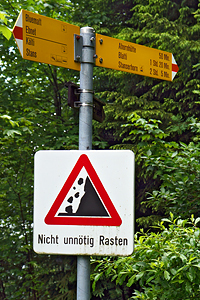 We ended up getting to Monte Garzo around lunchtime. 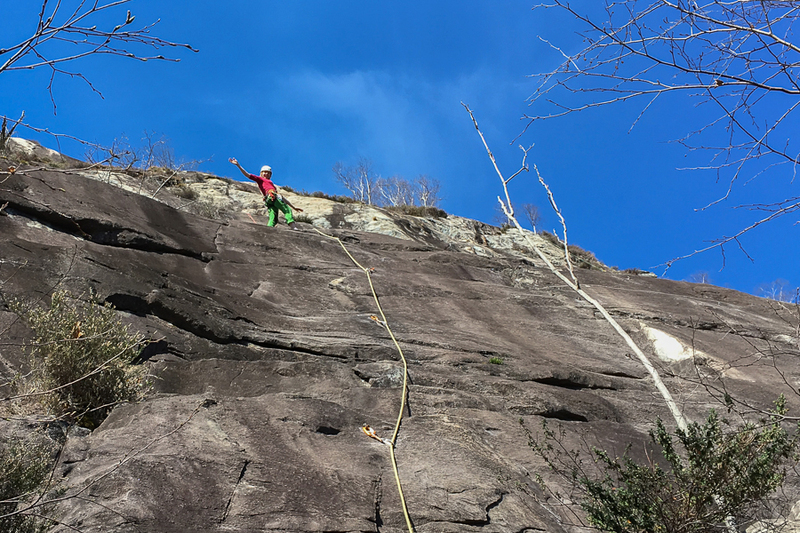 After lunch we climbed just a couple of routes: sector Placche Rosse/Pinocchio, routes Lavori di Giardinaggio (first SL only: 4a?, andrea went first), Harlem (first SL only, 4c, greg only). 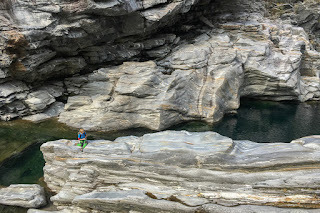 We checked out the Maggia Canyon afterward and even watched some guys diving. We were very organized and made dinner reservations for Friday and Saturday night on Thursday evening. So we managed to get tables at the Osteria Borghese for Friday (we found this last year and thought it looked interesting, but were unable to get a table) and Cittadella on Saturday (this is now something of a tradition for us in Locarno... we've eaten there on all three of our visits). Both were excellent meals. The other two nights we enjoyed the pizza at the hotel.